Store-bought macarons may look pretty, but nothing beats the love that comes from homemade macarons. This recipe was first published in Flavours magazine. Preheat oven to 210˚C. Mix icing sugar and almond powder. Whip egg whites to stiff peak stage. Fold in almond powder mixture and vanilla. Place equal spoonfuls of the mixture on a lined baking tray, 2cm apart. Bake for 10 to 12 minutes, then remove from oven and allow to cool. 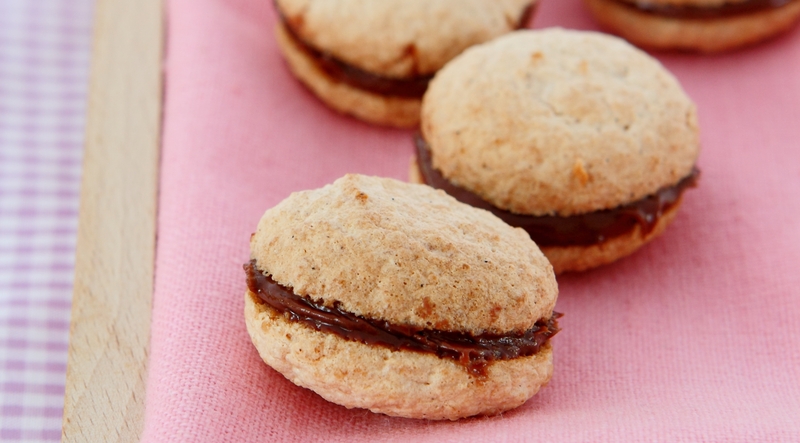 Stick 2 macarons together with chocolate spread, repeat till you have used up all macarons. Best served immediately.